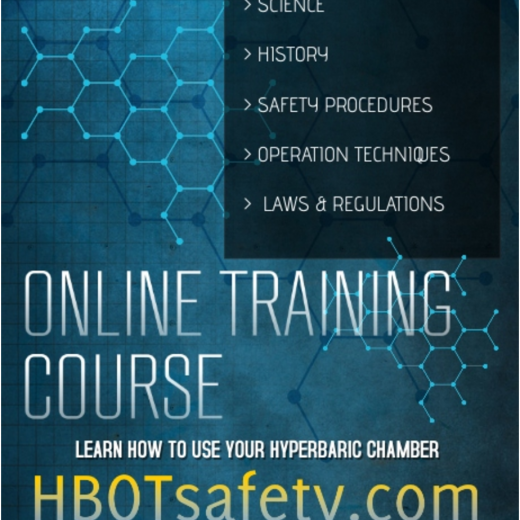 Cool the air in your hyperbaric chamber. 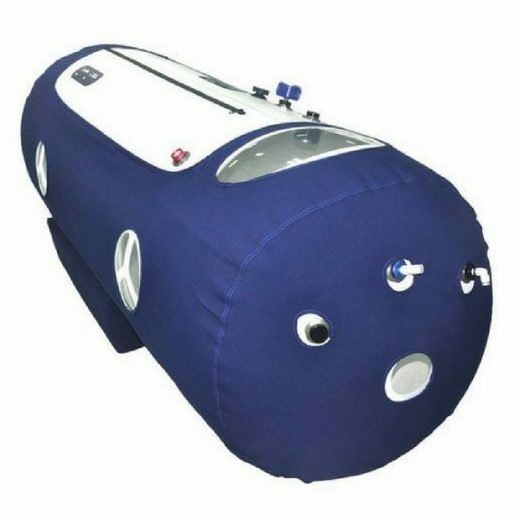 This is perfect for home or office hyperbaric chambers. Its like adding a AC unit to your hyperbaric chamber. 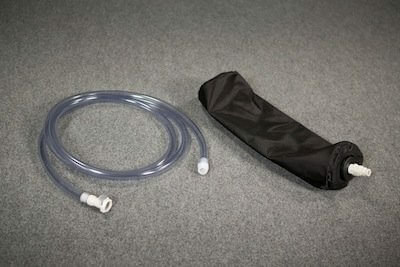 This new, innovative cooler is perfect for any non-medical application that requires passive cooling (no water, no freon). This new cooler, uses hyperbaric principles to cool the air. Air depressurizing into the area being conditioned cools the air. 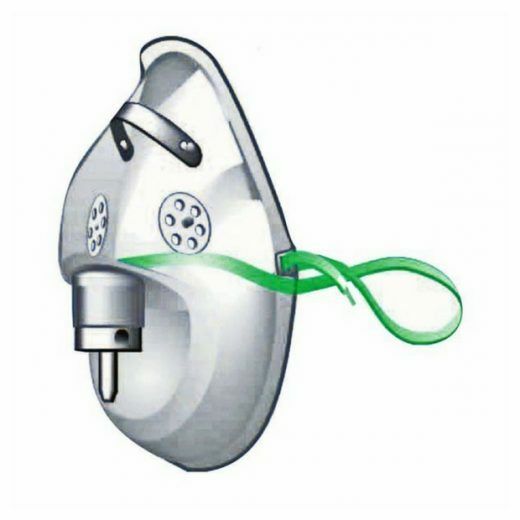 Some applications utilizing this new technology are: camping, cooling small work areas, silencing compressors, Veterinary pressure chambers, and local cooling of hot spots such as electrical cabinets. 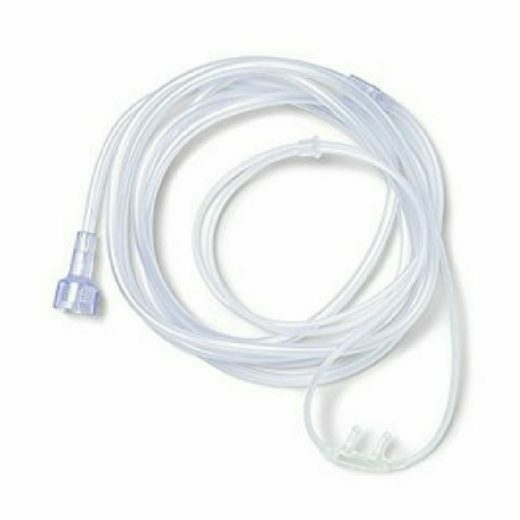 This cooler connects to any compressor/pump using standard fittings. 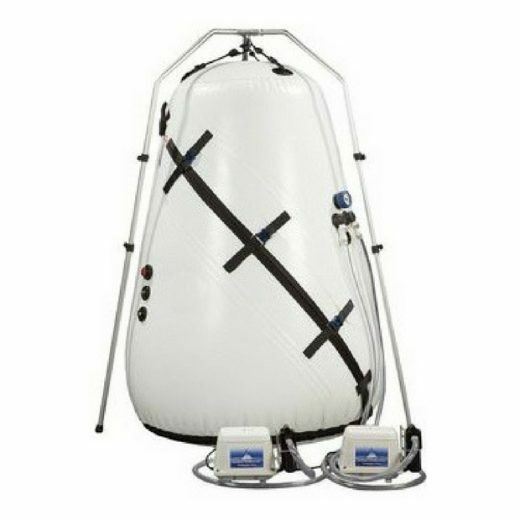 This small, compact cooling chamber uses the same high quality materials used in many popular portable mild hyperbaric chambers.